Most magicians have at some time or the other resorted to faked or trick decks to bring about some miracle or the other. And yet these same performers, who will pull out a Stripper or a Svengali deck at the drop of a pin shy away from a marked deck, presumably under the impression that everybody knows a Marked Deck. That is, of course, a ridiculous notion. The truth of the matter is that not one spectator in a thousand can detect a good marked deck, and most of them are unaware of their very existence. For that matter, a number of demonstrations in our studios have convinced us that not more than four out of ten magicians can recognize a Mocker Deck, (sold in the toy shops) which is the most popular marked deck in this country. Other decks are far more subtly marked, and if you are lucky enough to possess one of these, you can fool anyone with these routines. But please do not take the deck for granted. Treat it as you would a good tool, and put in the work required to qualify as a skilled craftsman. A little effort and care will go a long way in getting you the kind of reputation money cannot buy. 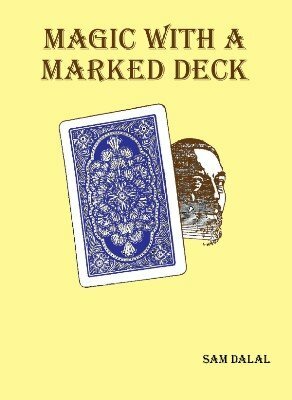 The finest Marked Deck we have encountered to date is the one designed by Ted Lesley of Germany, with a marking system you can decipher at a glance, even at a distance. So bold, and yet so subtle, it is a delight to use. The routines described in this book are little gems. We hope you will set them in the presentations they deserve. Most of the space in the routines that follow has been devoted to the presentation. The Secret in all cases is The Marked Deck. Where additional subtleties have been incorporated, a brief description of the method is given. 1st edition 1972, 2nd edition 1985, 3rd edition 1992, 14 pages.